It’s been a month full of new Dodge Avengers at Uftring Pekin and we’re excited to announce that we still have some in stock! It’s tax refund time, and the purchase of a Dodge Avenger is the perfect car that you’ll be more than happy with—from the price to the performance. New 2014 Dodge Avenger SE models are only $15,490*. Our Avenger inventory was huge last month, and due to the popularity and demand, we only have around 25 left – but more are on the way! 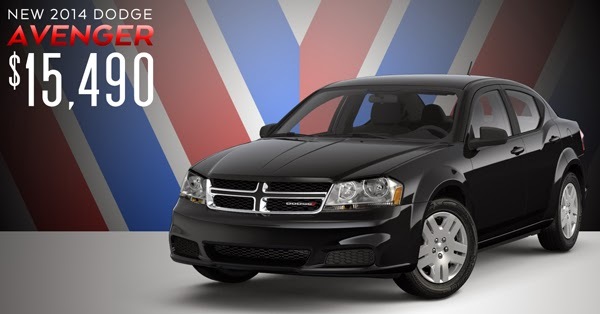 Click here to see our full Avenger inventory, and click here to view our entire Dodge selection. Right now is the time to purchase a new Dodge – for a seriously affordable price. *All rebates applied. Must finance through Chrysler. With approved credit. See store for details.